Silver Birch is a lovely detached cottage located in Cooraclare, Ireland. It has three bedrooms; one king-size, one double with en-suite shower room and one family room with a double and single bed. There is a separate family bathroom and WC. Downstairs has an open-plan living room with a fitted kitchen and dining area. There is a play room and utility room. Off-road parking is available for several cars. Outside has a decking and lawned garden with furniture. Silver Birch is a lovely holiday home situated on the west coast of Ireland. 3 Bedrooms Multi-fuel stove. Electric oven and hob, microwave, fridge, toaster, kettle, dishwasher, washing machine, tumble dryer, TV with Freeview, a selection of books, CDs, WIFI, DVDs and kid's toys. Travel cot and highchair available. Fuel and power inc. in rent. Bed linen and towels inc. in rent. Off-road parking for several cars. Rear decking area with furniture. Sorry, no pets and no smoking. Shop and pub 2 miles. 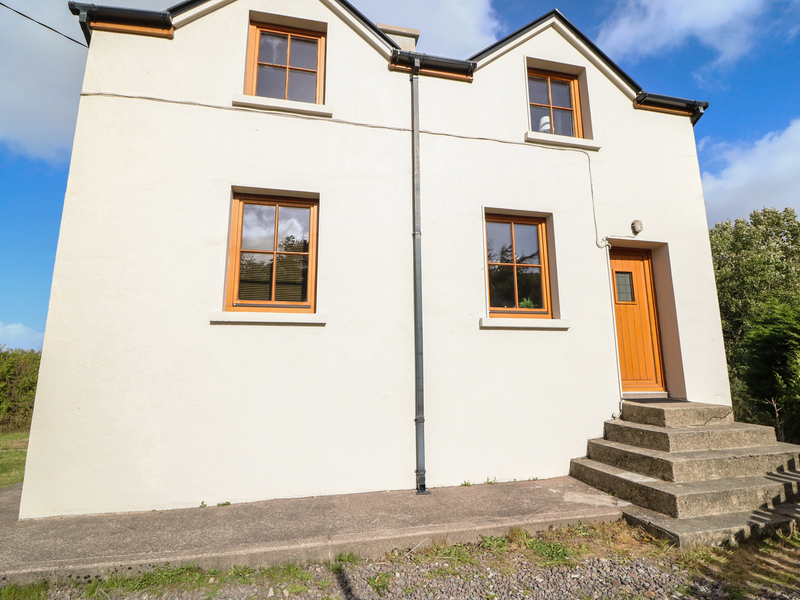 Fuschia Cottage is an idyllic detached property, resting within Donegal Town. It houses two bedrooms, comprising of a double bedroom and a twin bedroom. On the ground floor you will find a well-appointed bathroom, with a shower over bath, basin and WC. Additional rooms include a well-equipped kitchen, a dining area and a cosy sitting room with an open-fire. There is off road-parking available for two cars. All-in-all Fuschia Cottage is a tranquil retreat, perfect for exploring the area. 2 Bedrooms Oil fired central heating with additional heating from open fire in living room and multi-fuel stove in sitting room. Electric oven and hob, microwave, fridge/freezer, washing machine, TV with basic channels, selection of books. Fuel starter packs for open fire and multi fuel stove included in rent. Bed linen and towels included in rent. Off road parking for 2 cars. No pets allowed. No smoking. Shop/pub 1 mile. Note: This is a traditional olde world cottage, with low ceilings and some very low doorways and steps throughout the property, so care must be taken. Note: No Stage/Hen or similar. 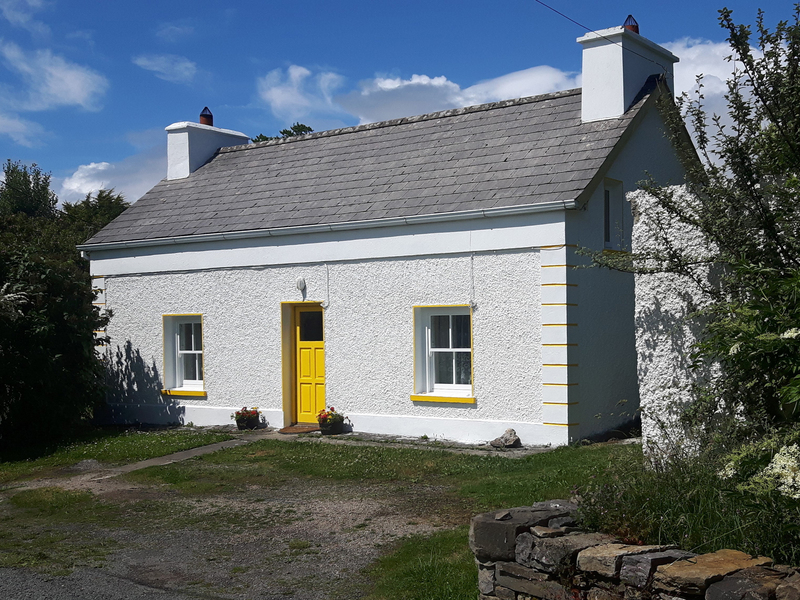 Cloonagh Cottage is a welcoming single-storey property 30 metres from the sea, in a peaceful location six miles from Grange in County Sligo. The two bedrooms - a double and a twin - are spacious and comfortable, while the bathroom is modern. The large kitchen is well-equipped, with a dining area and doors to the garden. The sitting room is cosy, especially when the open fire is roaring! Outside, the garden has some views to the sea, with a bench to sit and take in the fresh sea air. There is off road parking for two cars. 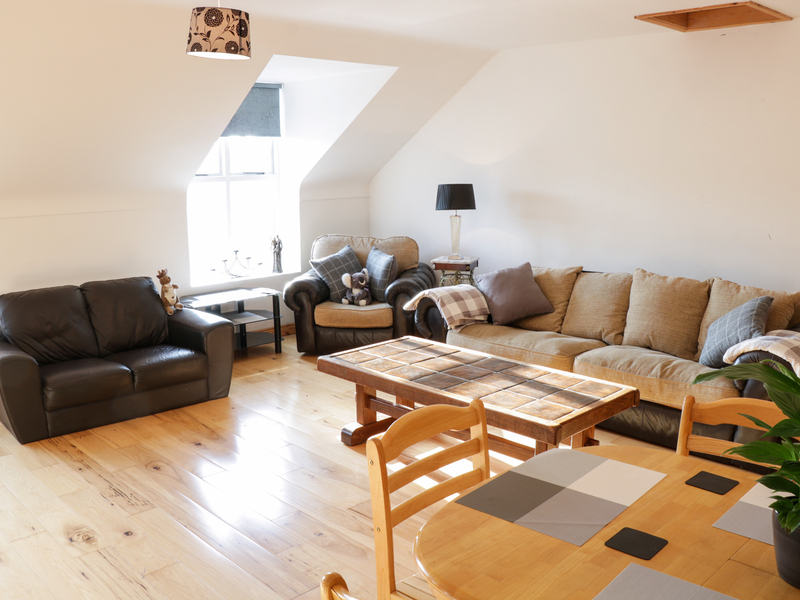 With Sligo attractions such as walking, fishing, beaches and mountains on offer, Cloonagh Cottage makes a great base for families or couples alike. 2 Bedrooms Oil central heating with open fire in sitting room. Electric oven and hob, microwave, fridge/freezer, washing machine, dishwasher, TV with Freeview, DVD, CD/radio, DVDs, books and games. Fuel and power inc. in rent. Starter pack for open fire inc. in rent. Bed linen and towels inc. in rent. Cot and highchair on request. Off road parking for 2 cars. Lawned rear garden with bench. Sorry, no pets and no smoking. Shop and pub 2 miles. 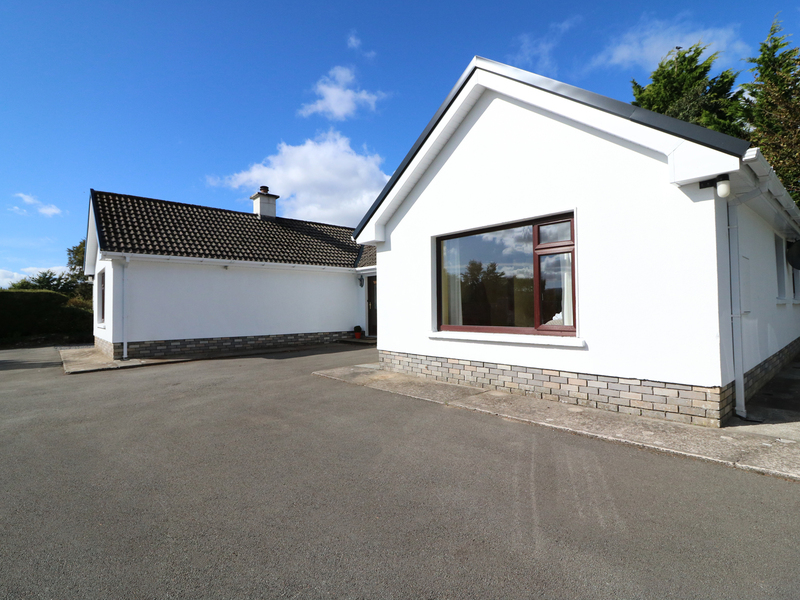 35 Laune View is a modern holiday home located in the County Kerry town of Killorglin. It comes with three bedrooms, including a double with an en-suite, a further double and a single room, there is also two shower rooms, the property can sleep five guests, it sleeps up to five people. Inside, also find an open-plan kitchen, dining and sitting area, a utility and a sitting room with a woodburning stove. Externally, there is ample roadside parking and a rear enclosed garden with a patio featuring furniture and a raised lawn. 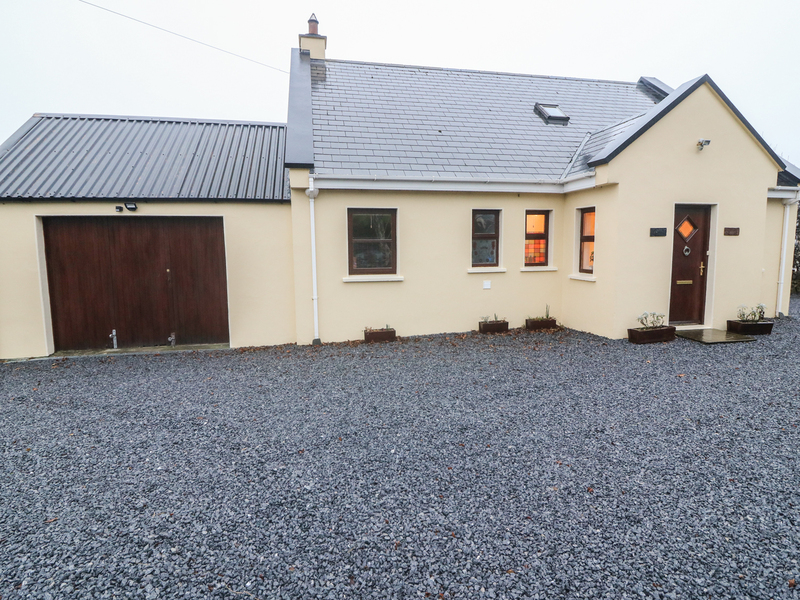 35 Laune View is a stylish cottage in a beautiful Ireland. Ballymote Central Apartment is a second floor apartment nestled in the heart of Ballymote two, in Western Ireland. It boasts three double bedrooms, sleeping six people in total. There is also a wet room, shower room and an open-plan living room with kitchen, dining area and sitting area. Outside is roadside parking, additional parking at a nearby car park, along with a roof terrace. 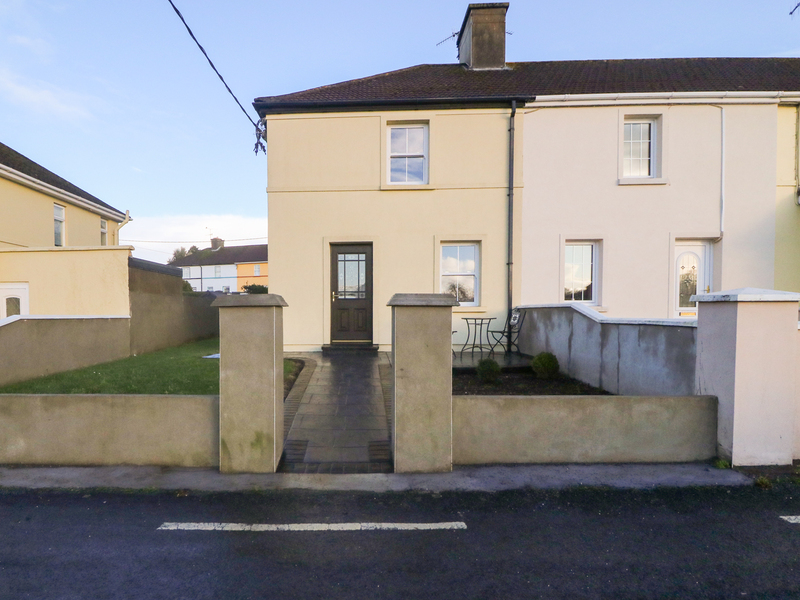 Ballymote Central Apartment offers a wonderful opportunity in County Sligo. Tullaghan View is a detached cottage situated near the village of Ballycroy, in County Mayo. It hosts four bedrooms, with three of bedrooms hosting doubles beds and good storage. Inside, you will also find a shower room, which houses a walk-in shower, basin and WC. You will also find a kitchen/diner with a warming woodburning fire place and all the necessities for staying guests. Additional rooms include a living room posing a open-fire, and a sitting room including a good selection of books and games. Off-road parking available. Outside there is an enclosed lawned area. 4 Bedrooms Wood burning fire and an open-fire place. Oven, hob, microwave, fridge/freezer, toaster, kettle, WIFI, selection of books and games. Off-road parking for 1 car. Large, private lawned garden area. One well behaved pet welcome. Sorry, no smoking. Local pub and shop are located within 3.5 miles. 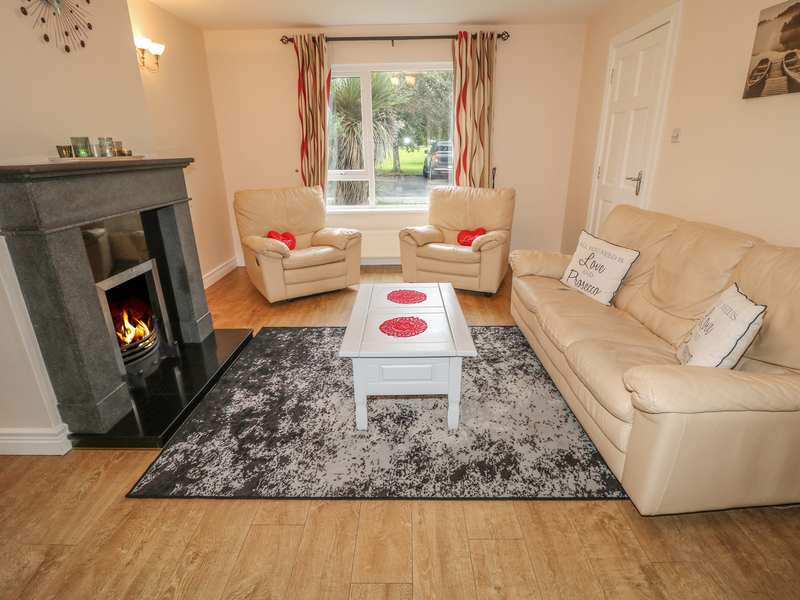 Oak Cottage is a modern, three-bedroom holiday home located in the village of Buncrana, County Donegal. Hosting three bedrooms; triple bunks, a double with single bed, and a double, along with a bathroom, this property can sleep up to eight people. Inside you will also find a cloakroom, kitchen/diner, and a sitting room. To the outside is private parking, and an enclosed garden to the rear. Situated in a lovely destination with a golf club across the road, Oakfield Cottage is a comfy retreat in an inspiring part of Ireland. 3 Bedrooms Oil central heating. Electric oven and hob, open fire, microwave, fridge/freezer, washer/dryer. 4 x TV's with Sky, WiFi, selection of books, games and DVDs. Fuel and power inc. in rent. Bed linen and towels inc. in rent. Cot and highchair available. Private parking. Secure garage. Enclosed garden to the rear, no smoking. Shop and pub 2 mins walk. Please note one well behaved pet welcome. Dooks Halt Railway Cottage is a lovely holiday home resting just a mile outside of Glenbeigh in County Kerry. It comprises two bedrooms; a ground floor double with en-suite shower room and a family room with single bed and children's bunks, sleeping four guests. Inside is also a first floor cloakroom, a kitchen/diner, sitting room and a first floor sitting room. To the exterior is ample off-road parking and a large lawned garden. 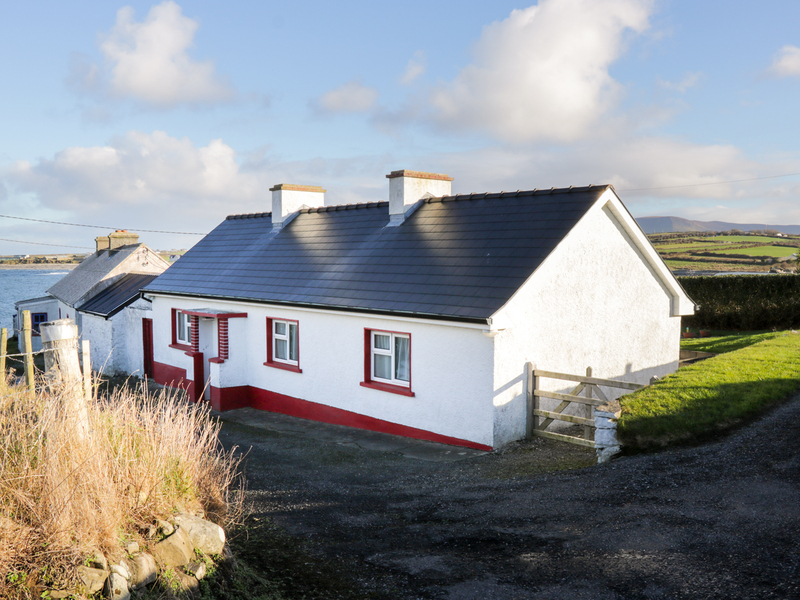 Dooks Halt Railway Cottage offers sea views and a countryside setting in a lovely part of Ireland. 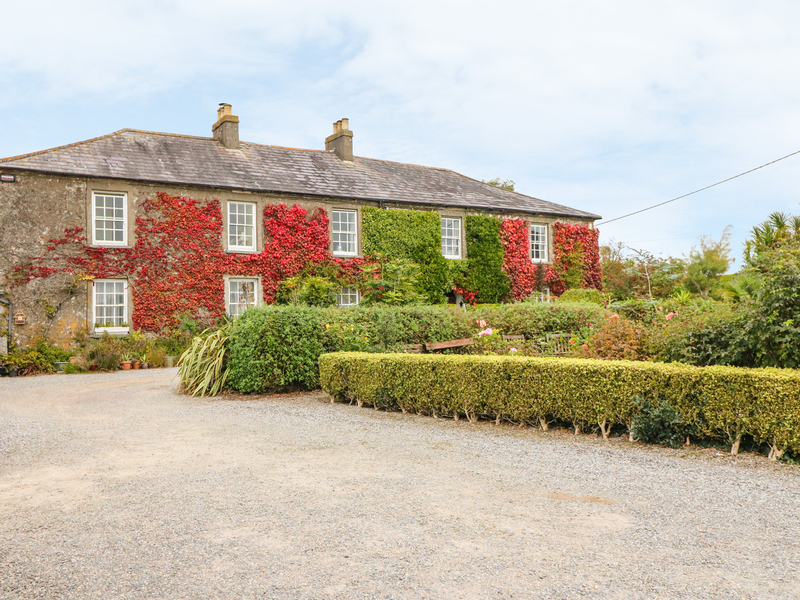 Cairbre House is a large property steeped in history and bursting with character, resting in the Irish town of Dungarvan in County Waterford. It boasts five bedrooms; a family room with double, single and adjoining twin room with en-suite shower room, two doubles with en-suite shower rooms, a ground floor double with en-suite shower room and a twin with en-suite shower room, sleeping 10 altogether. There is also a bathroom, a ground floor shower room, kitchen, utility, dining room and sitting room with open fire. To the outside is ample off-road parking, a large enclosed garden at front and rear with lawned areas, furniture and additional enclosed garden at rear with barbecue area. Cairbre House offers beautiful accommodation in the heart of a bustling town. 5 Bedrooms Oil central heating with open fire. Gas hob, electric oven and grill, microwave, fridge, large fridge/freezer, dishwasher, washing machine, tumble dryer. 6 x TV's, DVD, WiFi, selection of books, games and DVDs. Fuel, power and starter pack for fire inc. in rent. Bed linen and towels inc. in rent. Highchair and travel cot available. Ample off-road parking. Large enclosed garden at front and rear with lawned areas, furniture, additional enclosed garden at rear with barbecue area and ample bike storage. Sorry, no pets and no smoking. Shop, restaurants and pub 5 mins walk. Town center, castle and harbour 10 mins walk. 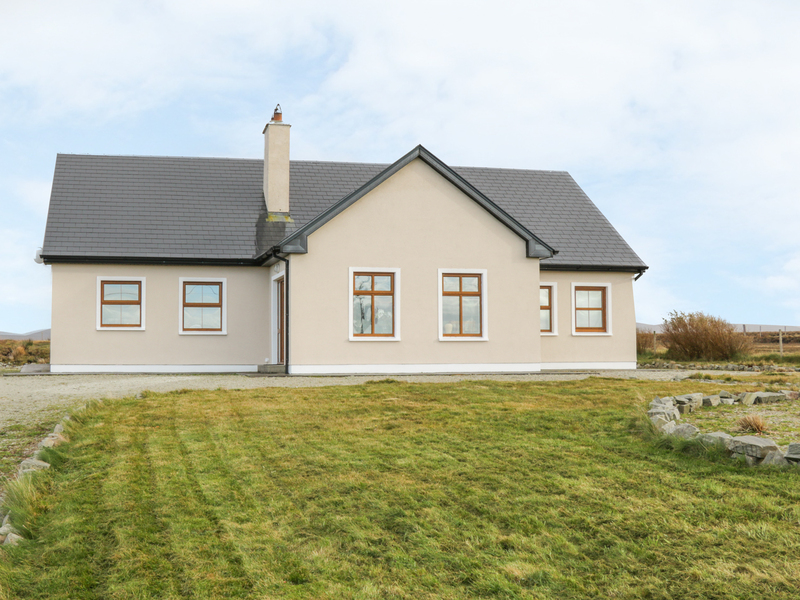 High View is a wonderful bungalow situated in the village of Kenmare, County Kerry. Hosting three bedrooms; a king-size with en-suite bath, walk-in shower, basin and WC (disabled friendly adapted shower access), a double with shower room. (Jack-and-Jill access), and a double, this property can sleep up to six people. Inside you will also find a kitchen/diner, utility, and a sitting room with electric stove. To the outside is off-road parking. Resting in a cosy village setting with lovely front-facing views, High View is a unique cottage in a fabulous part of Ireland. 3 Bedrooms Gas central heating with woodburning stove. Electric oven and hob, microwave, fridge/freezer, washer/dryer, dishwasher, TV with Freeview, DVD, WiFi, selection of books, games and DVDs. Fuel and power inc. in rent. Bed linen and towels inc. in rent. Off-road parking. Sorry, no pets and no smoking. Shop 2 mins and pub 5 mins walk. Note: Grounds are not enclosed, may not be suited for those with children.